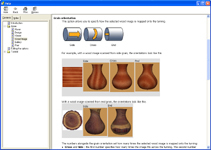 When you have finished designing your woodturning, or wish to use one of the supplied designs, you can go ahead and print the plans. 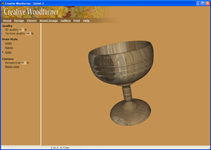 The printed sheet can then be taken to the lathe and used to create a template or you can use calipers to help you create the woodturning. 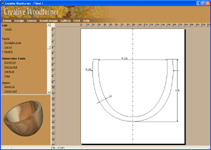 The plans are printed showing all the lines and dimensions on your woodturning. 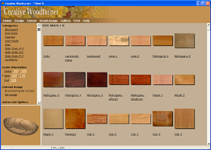 A border is also printed, showing information such as the date printed and the name of the woodturning. The plans can be printed actual size or scaled to fit on the page. 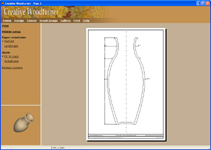 You can use actual size plans to create templates, scratch-stocks or to set calipers. The scale of the plans is displayed on the printout. 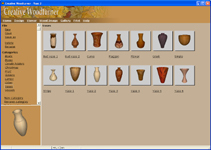 You can print your woodturning in landscape or portrait orientation, to accommodate wide or tall turnings.